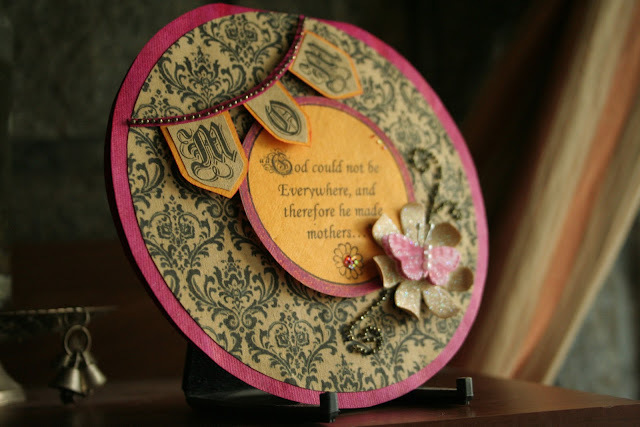 I hope you are enjoying the series of beautiful cards showcased by our lovely DT here at Lulupu. Do make sure to enter our Challenge#5 to be entitled to win a Goody Bag from Lulupu.
" 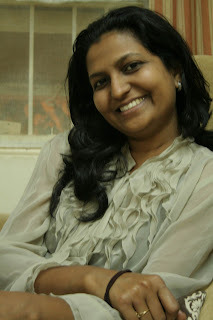 Hello ladies, This is Avni from http://crativebygene.blogspot.in/ I am SAHM with 2 boys and a dear husband at Bangalore. I feel so honored to be here. Indian craft community is expanding day by day and I feel myself lucky to be a part of it. I started my blog 4 years back and since then the true learning journey has begun. People are so creative and enthusiastic for crafting and that inspires me a lot! When I am not crafting I am running around house after kids, cooking and surfing the blogland. Thank you so much Karuna for giving me this chance to be here. About my card. I have chosen the diagonal line D1 from the cube and made a circle card. 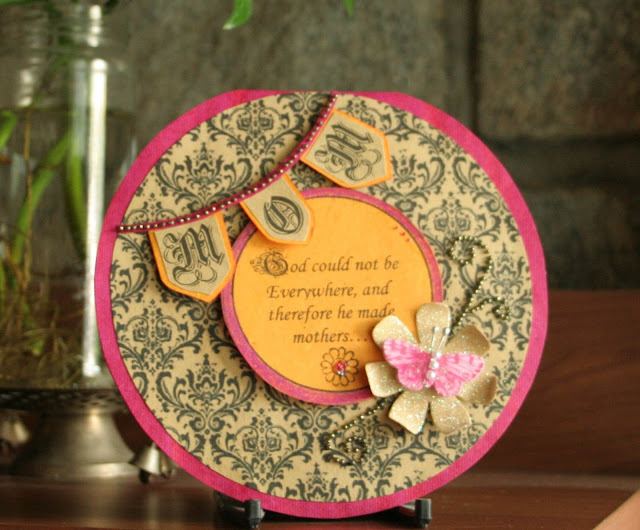 The damask design is online download and embellishments are local buys. Beautiful card Avni..i love the bg damask Paper and the lovely way you have embellished this card...fab colors too!!! 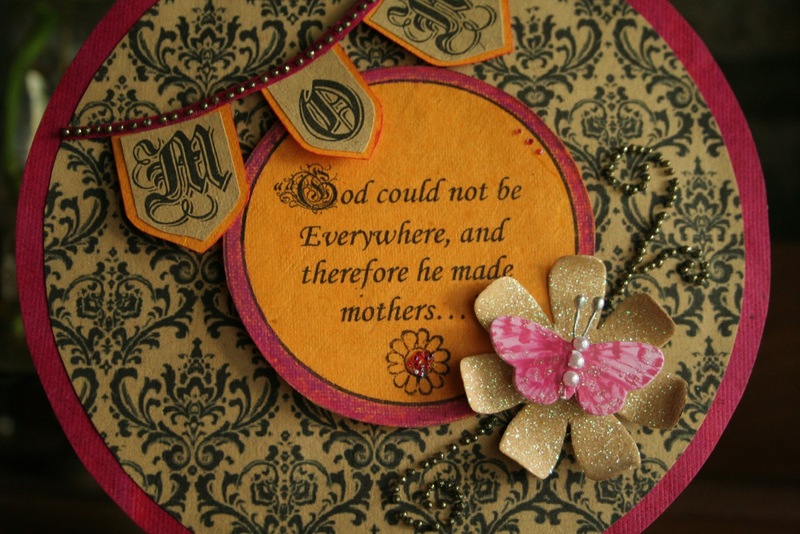 Loved the cute pink butterfly on the flower & glitter ball swirls...damask Paper Backgrnd & colors used are awesome. 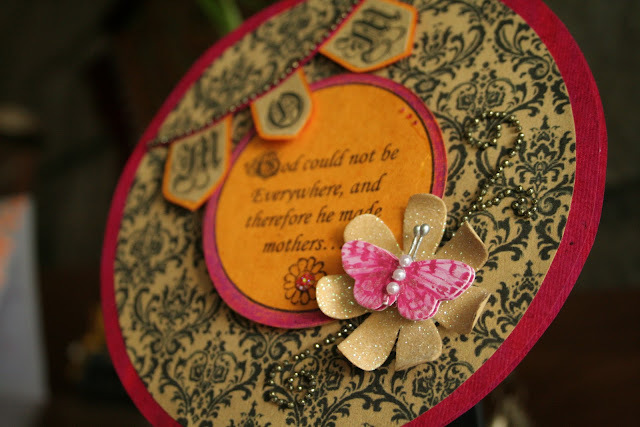 Pretty card with pretty colours..love the banner !! Thanks Nikita for such a lovely observation!